Black History Month is a time to honor the many influential black men and women throughout history for their accomplishments. Barriers continue to be broken in the sports world, as these athletes continue to inspire us all. We want to feature a handful of notable black athletes from some of the sports we love and celebrate their impact. Haley Eckerman wanted to show young black girls that volleyball can offer a pathway to success, so she put together an all-black woman’s team that went on to win last year’s USA Volleyball Open National Championship. It was the first time a team of all black women won the title in the 89 years of the tournament. 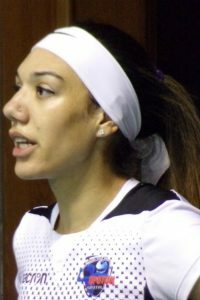 Eckerman grew up in Iowa and went on to be an All-American volleyball player at the University of Texas before playing professionally. The 12-member squad was adequately known as Team Dream. Read more about their story here. In 2018, 20-year-old Jordan Greenway became the first African-American to represent the United States on their Olympic hockey roster. The New York native played collegiality for Boston University before turning pro. You can now catch him in the NHL on the Minnesota Wild. Since turning pro in 1995, Serena Williams has established herself as the greatest female athlete in the world. Yet, throughout her career, she has endured criticism and questions about her skill. Meanwhile, she holds the record for most Grand Slam singles titles in the Open Era with 23. 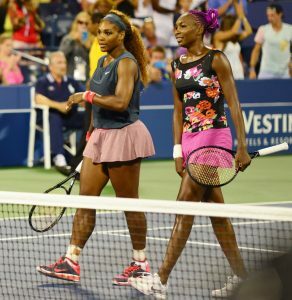 Paired with her sister, Venus, the two have the third-most doubles Grand Slam titles with 14 and are undefeated in Grand Slam doubles finals. Venus’ individual achievements aren’t anything to scoff at either. Her seven Grand Slam singles titles has her tied for eighth most in the Open Era and helped her become the first African American women to be ranked #1 in the Open Era. Tiger Woods has broken numerous golf records, but perhaps more importantly, helped usher in a new generation of golf fans during his meteoric rise. He has been the top ranked player in the world for the most consecutive weeks, as well as the greatest total number of weeks. He has been named PGA Player of the Year a record 11 times! His 14 major golf championships trails only Jack Nicklaus who has 18. 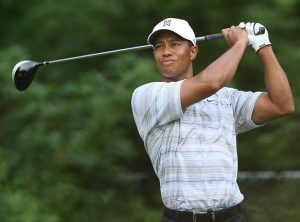 Woods was also the youngest player to achieve the career Grand Slam, and did so three times. 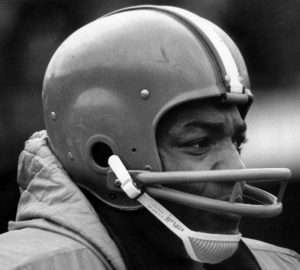 Considered one of the best football players of all time, Jim Brown’s talents extended beyond the gridiron. He also excelled in basketball, track and field and especially lacrosse. At Syracuse University, he was the second-leading scorer for the basketball team as a sophomore, finished fifth in the National Championship decathlon and was named first-team All-American in lacrosse as a senior. He is in both the College and Pro Football Hall of Fame and the Lacrosse Hall of Fame. These stories, and so many more like them, can provide a great conversation started with your child on the importance of breaking down barriers in our country. Sports offer a unique opportunity to change existing stereotypes for the better, but that won’t happen without first talking about it.